Bond insurance is a type of insurance policy that a bond issuer purchases that guarantees the repayment of the principal and all associated interest payments to the bondholders in the event of default. Bond issuers buy insurance to enhance their credit rating in order to reduce the amount of interest that it needs to pay. Bond insurance is also known as financial guaranty insurance. The rating of a debt instrument takes into account the creditworthiness of the issuer. The riskier an issuer is deemed to be, the lower its credit rating and, thus, the higher the yield that investors expect from investing in the debt security. Such issuers are faced with a higher cost of borrowing than companies that are estimated to be stable and less risky. In order to obtain a more favorable rating and to attract more investors to a bond issue, companies may undergo a credit enhancement. Credit enhancement is a method taken by a borrower to improve its debt or creditworthiness so as to obtain better terms for its debt. One method that may be taken to enhance credit is bond insurance, which generally results in the rating of the insured security being the higher of (i) the claims-paying rating of the insurer and (ii) the rating the bond would have without insurance, also known as the underlying rating. Bond insurance is a type of insurance purchased by a bond issuer to guarantee the repayment of the principal and all associated scheduled interest payments to the bondholders in the event of default. 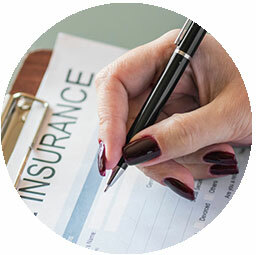 The insurance company takes the risk of the issuer into account in order to determine the premium that would be paid to the insurer as compensation. Bond insurers generally insure only securities that have underlying ratings in the investment grade category, with unenhanced credit ratings ranging from BBB to AAA. Once bond insurance has been purchased, the issuer’s bond rating will no longer be applicable and instead, the bond insurer’s credit rating will be applied to the bond instead. By design, bondholders should not encounter too much disruption if the issuer of a bond in their portfolio goes into default. The insurer should automatically take up the liability and make any principal and interest payments owed on the issue going forward. Call us today to learn more! (310) 835-3373.